I am a big fan of homemade parties. 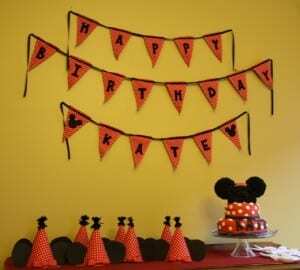 So how do you take a well-known party theme, like Mickey Mouse or Minnie Mouse, and add your own creative spin? Take a look at these wonderful parties on Catch My Party to see how. 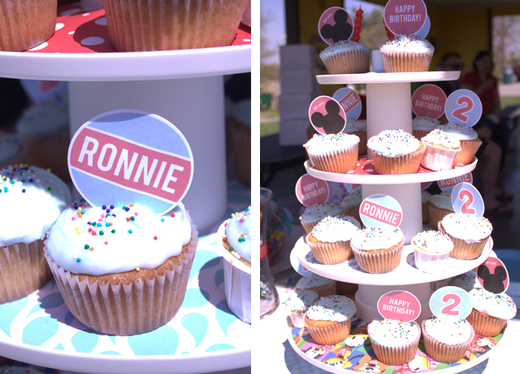 I love the beautiful tissue paper centerpiece and the customized cupcake toppers and favor boxes. To see more of this party, click here. 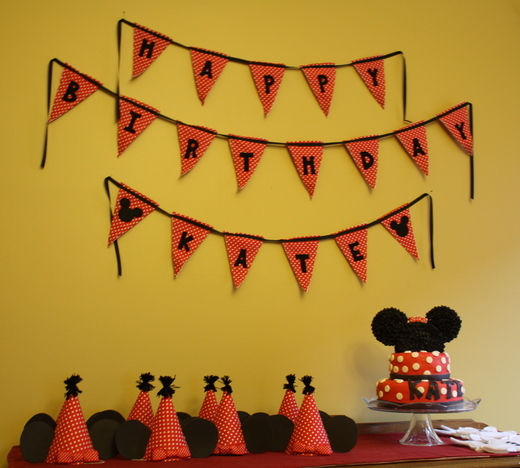 Check out the gorgeous handmade pinata, Minnie Mouse birthday girl outfit, goodie bags, and Happy Birthday banner. 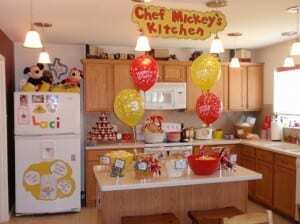 How great are the Mickey banner and wall decorations, the homemade Mickey's kitchen sign, the homemade chocolate lollipops, and the Mickey ears flowers. Hopefully this gives you some ideas for how to take your Mickey or Minnie Mouse theme and run with it! 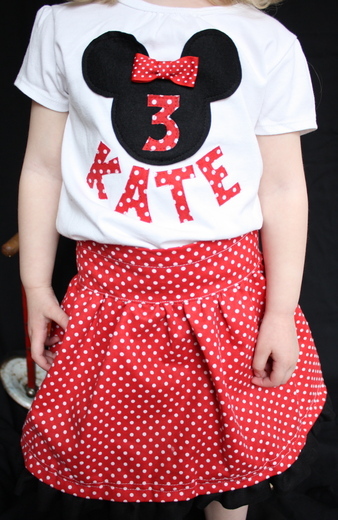 hi just wanted to let u know u had great ideas i really loved them im having my daughters birthday party of minnie the pink one. so i wanted to can u how did u make the mickey lollypops? 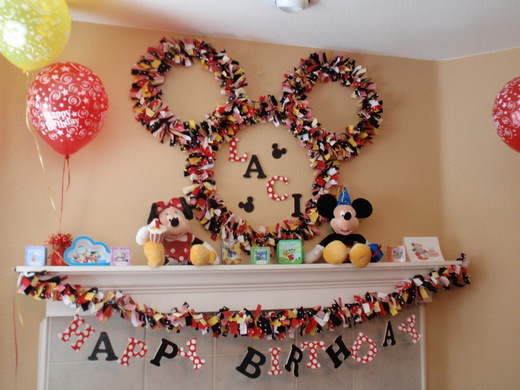 I love your ideas, can you let me know how you made the mickey mouse head that is over the fire place and the happy birthday sign? 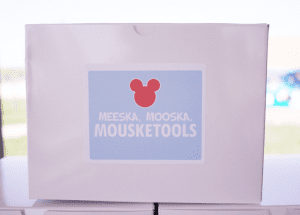 Hello, yes I love this idea of the tissue mickeymouse ears centerpiece. I was wondering how did you make it? Also, what did you use for the base for the ears? 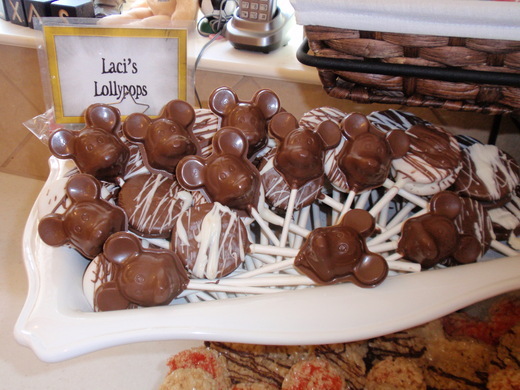 I would love it if you could share your ideas with me, making centerpieces for my grandsons 1st birthday in 2 weeks and would love to make these. Thank you!!!! I love that! In Brazil we didn't have a good ideas! Thank you! 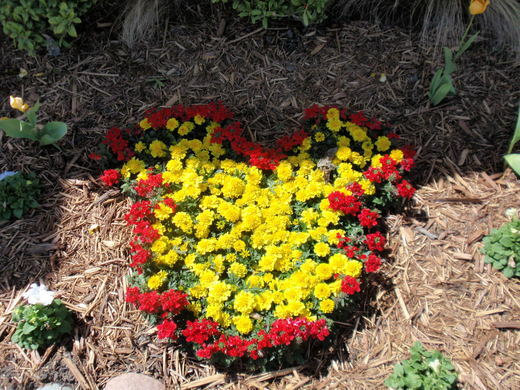 Hello, yes I love this idea of the tissue mickey mouse ears centerpiece. I was wondering how did you make it? For the Base of the ears? 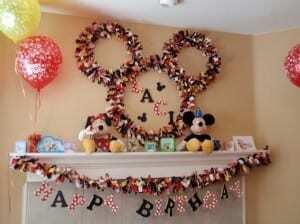 .I love your ideas, can you also let me know how you made the mickey mouse head that is over the fire place and the happy birthday sign? Hi! i wanted to know how you put together the mickey mouse shape above the fireplace. it is really neat! 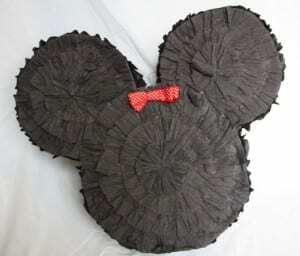 i think the mickey mouse over the fireplace is actually hulahoops. u can find them at the dollar tree in different sizes. 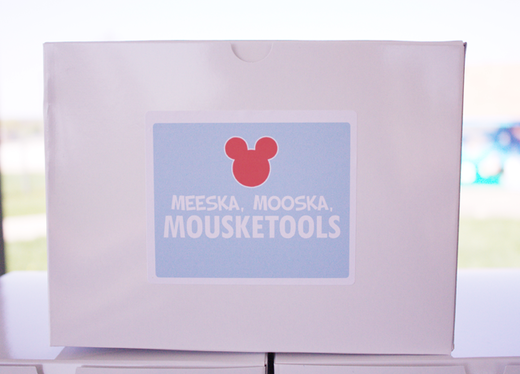 but its alot of ribbon u have to use. 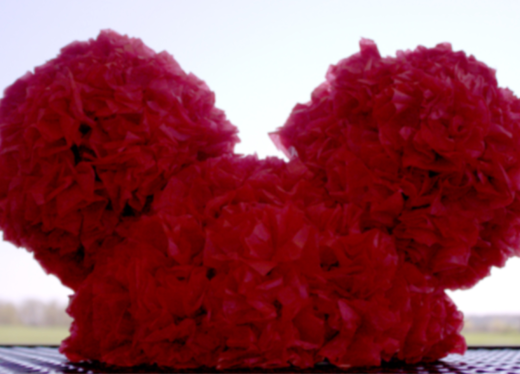 maybe u can try tissue paper? 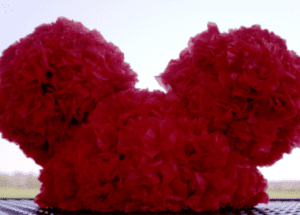 as far as the tissue paper centerpiece i would either try a bowl or a styrofoam ball cut in half, cut square pieces of tissue paper and dab some glue in the center of the tissue paper and put it on. i think that might work... maye?! 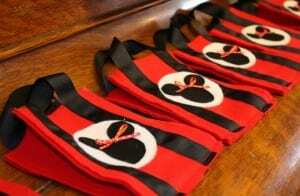 I love the minnie mouse over the fire place. Did you use hula hoops? If so, could you please let me know the dimensions of the hula hoops used? Thanks!